Whether it's poker night or a sophisticated housewarming party, our set of four engraved drink coasters are fit for any occasion. We'll custom personalize any three initial monogram of your choice, for a personal touch to call your own! Enter any three letter monogram or couples initials as instructed below. 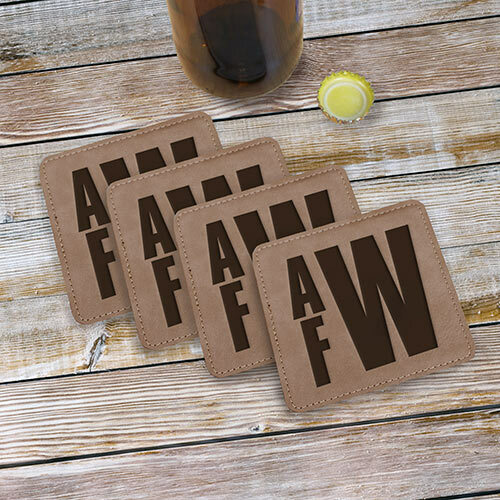 No matter if it's beer, whiskey, or everyday beverages, these leatherette personalized coasters are sure to add a splash to your home bar! They make great stocking stuffers or Personalized Couple Gifts!